This issue of Canon Fodder was originally published within the 10-22-14 edition of the Halo Bulletin. Last week, we took a look at some of the seminal moments of Halo 2. The High Prophet of Regret arrived on Earth looking for something incredibly important, but completely unaware that he had found the human homeworld. Eventually, the UNSC would catch up to Regret, the Master Chief assuring that the High Prophet’s influence would be silenced for good. Already set in motion however, was a betrayal within the Covenant itself, as the San’Shyuum sought to cut the Sangheili out of power; perhaps out of their “Great Journey” altogether. On November 4th, in the wake of Regret’s death, the High Prophet of Truth quickly replaced the Sangheili Honor Guard with Jiralhanae. What the Sangheili didn’t realize at the time was that Truth had already cast his lots with the Jiralhanae months earlier. 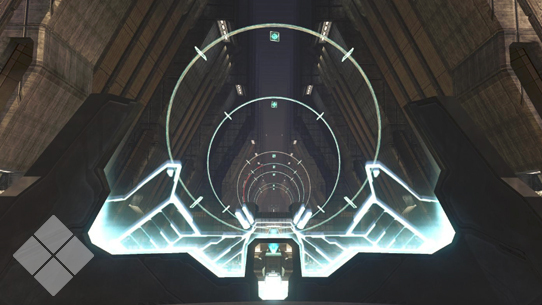 With Tartarus now in command, Truth instigated a secret revolt on the fleet Regret had left back at Earth, removing any Sangheili from the position of discovering the location of the Ark’s gateway portal. The aftermath of these acts being observed and noted by the ODST squad in New Mombassa in the events of Halo 3: ODST. 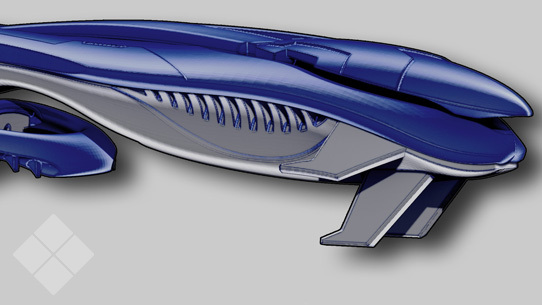 The Covenant support fleet which had arrived on October 21st was also controlled by the Jiralhanae, and even High Charity’s longstanding armory, the Sacred Promissory, had already begun fashioning Jiralhanae weapons and vehicles for combat in much larger quantities without the Sangheili’s knowledge. With the Sangheili “heretics” near Alpha Halo’s debris field silenced, Truth was confident that he could transition the guard without much resistance, but this was not the case. Once the Jiralhanae took control of the Honor Guard, they began imprisoning and executing the Sangheili members of the High Council, which initiated an uprising among the Sangheili and eventually a violent civil war that would be called the “Great Schism.” For the Sangheili, this war was fought on two fronts: while engaging the Jiralhanae in both infantry and naval combat, they were also committed to glassing the surface of Delta Halo in an effort to prevent the spread of the Flood. While re-living the Great Schism in glorious high-definition in Halo 2: Anniversary is going to be an incredible treat for fiction fans all over, I’m also particularly excited for readers to get their hands on the upcoming novel Halo: Broken Circle. This brand-new novel is going to be a huge treat especially for fans of Sangheili and San’Shyuum, as the book focuses almost entirely on the relationship, alliances, and betrayals between the two founding races of the Covenant’s vast empire. The book is actually divided into two parts, with the first part taking place in the Covenant’s infancy, and the second placing readers right into the middle of the Great Schism as seen from a brand new angle. What’s perhaps most intriguing though is how the past and the present come together, well, full circle. The new novel, penned by John Shirley, will be available on November 4, 2014. 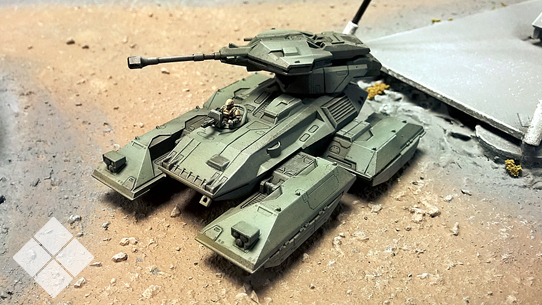 This week in Canon Fodder, find out some awesome new info on the upcoming fleet miniatures tabletop game coming from 343 Industries and Spartan Games. Plus, new Universe entries! This week in Canon Fodder, we look at the latest lore and answer a few curious community queries. This week in Canon Fodder, we pull the curtain back on Halo: Ground Command and take a look at a cool community project.